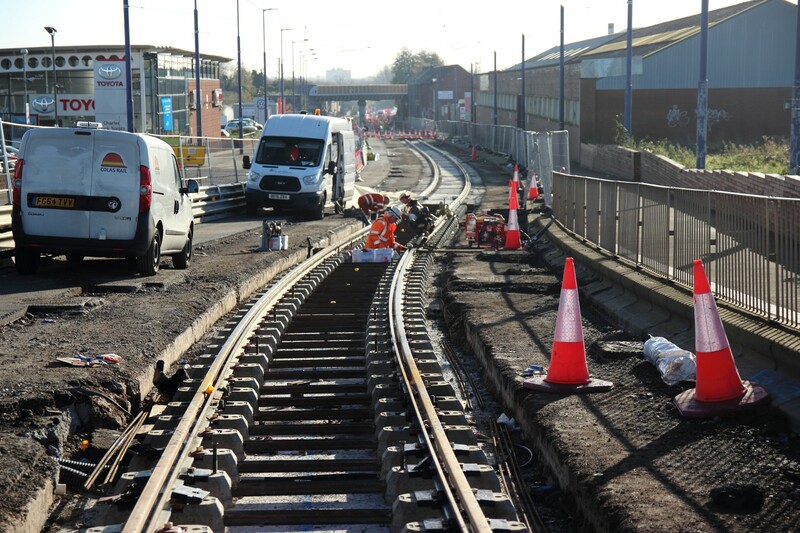 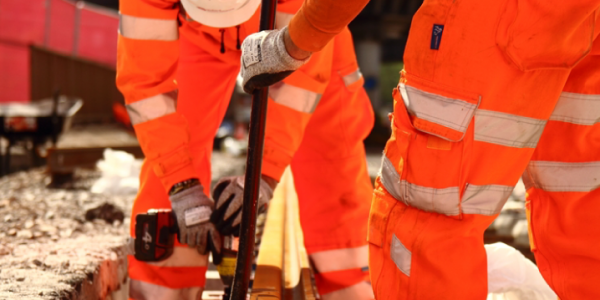 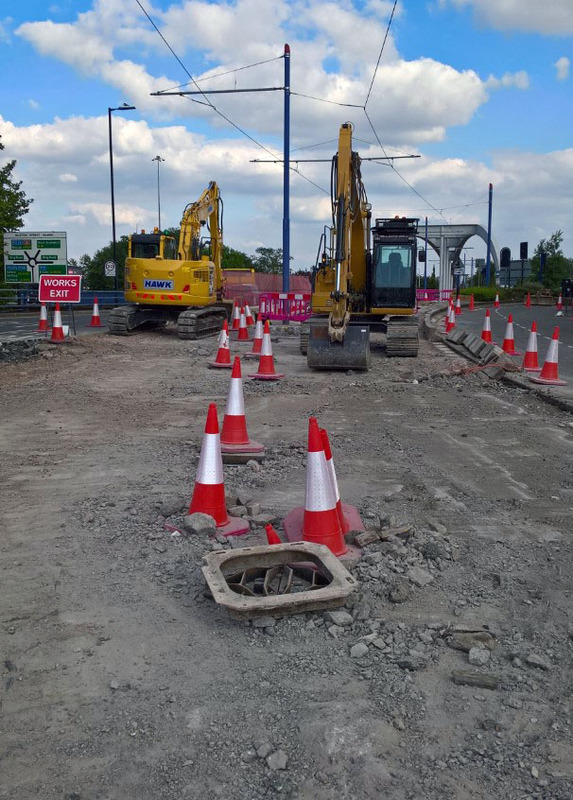 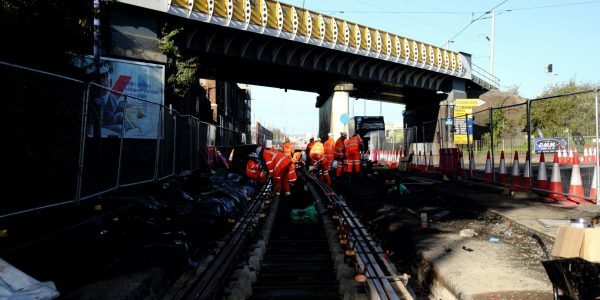 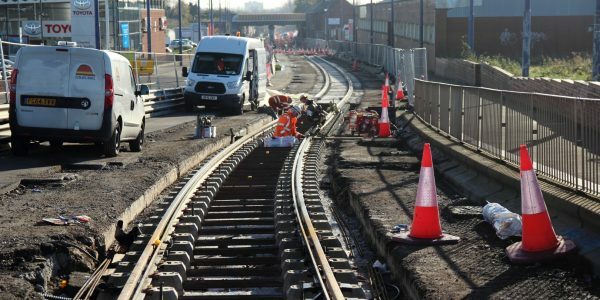 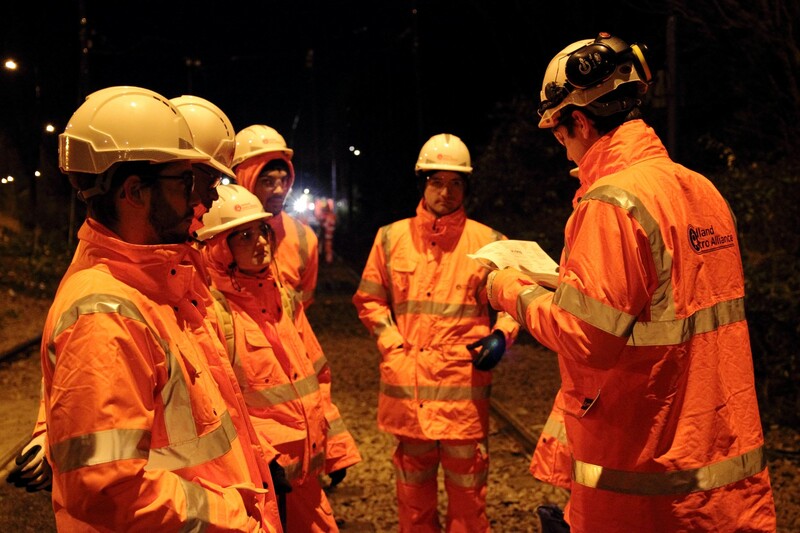 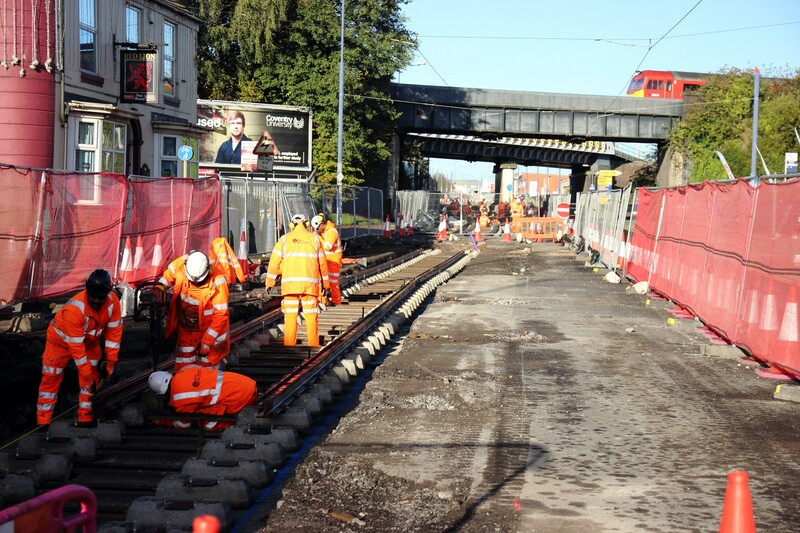 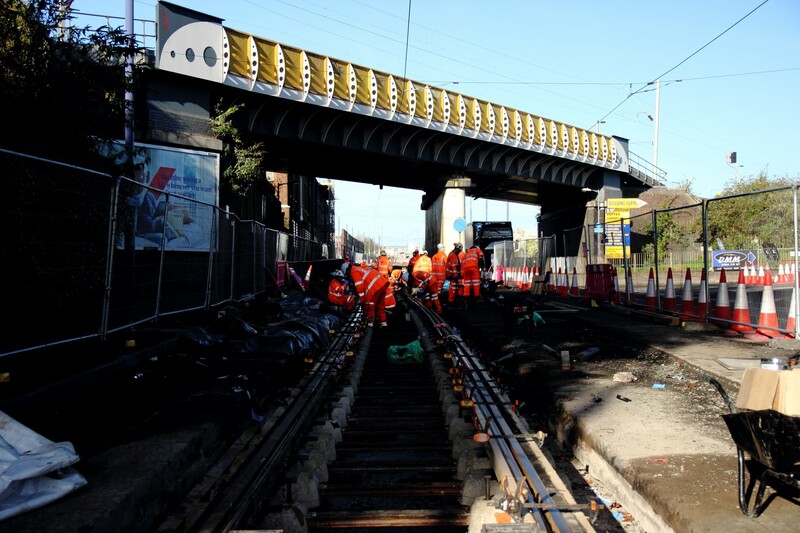 The now complete Bilston Road project involved carrying out essential engineering works on the West Midlands Metro track between Priestfield and The Royal. 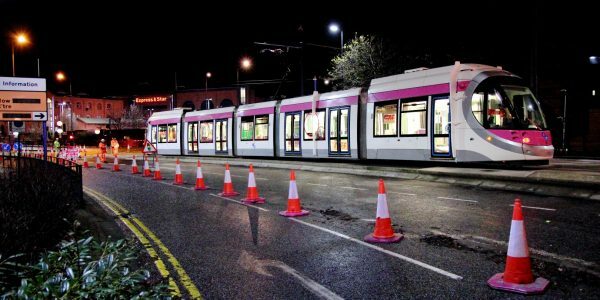 Originally built in 1999, the section of West Midlands Metro track was in need of maintenance to allow the tramway to continue to operate without issue ahead of the introduction of catenary free trams in 2018. 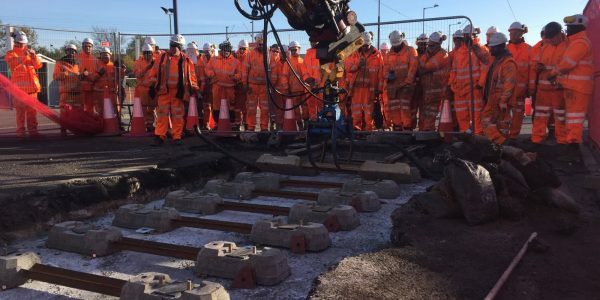 The construction project involved breaking out 2.7km of road and existing track, building replacement drainage systems and a concrete base to support new rails. 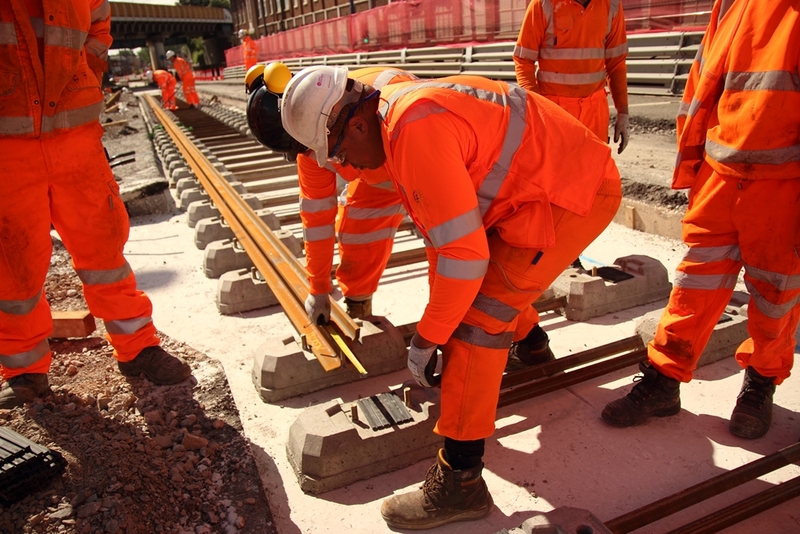 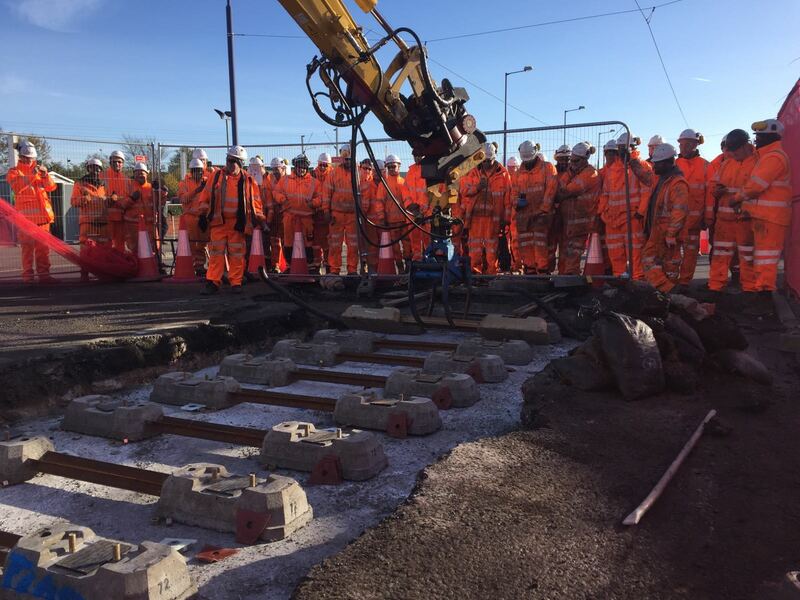 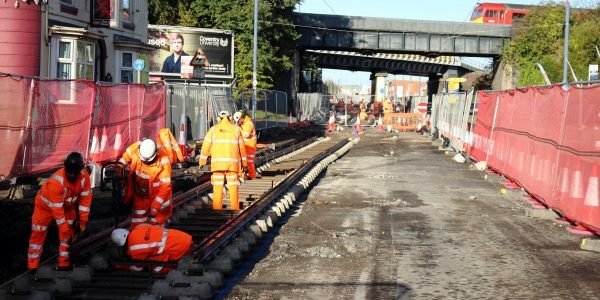 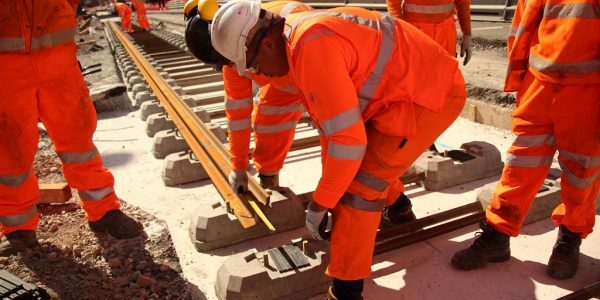 The replacement West Midlands Metro track was then laid and welded into place before the remaining concrete and road surface was installed and the traffic and West Midlands Metro signalling reinstated. 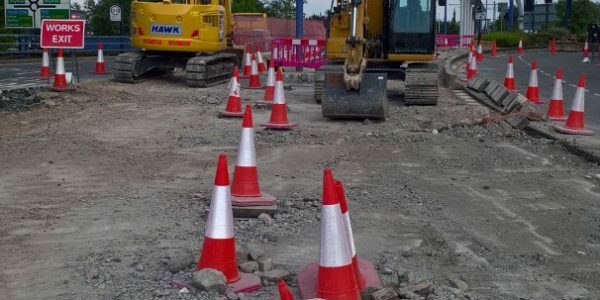 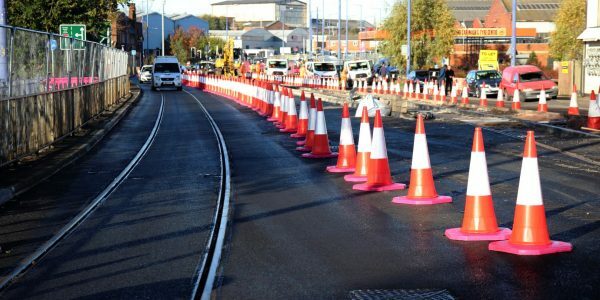 The works, which started in June 2017, finished ahead of schedule when the A41 Bilston Road was reopened to traffic in both directions to and from Wolverhampton on Saturday 2 December 2017. 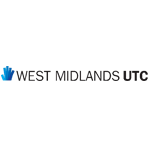 Similarly, West Midlands Metro passenger services also resumed earlier than scheduled on Friday 9 December 2017 when testing and commissioning completed two days early. 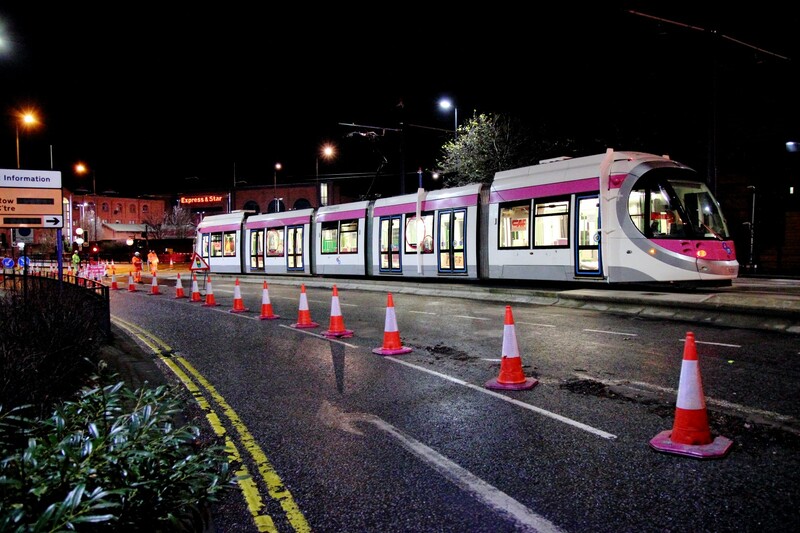 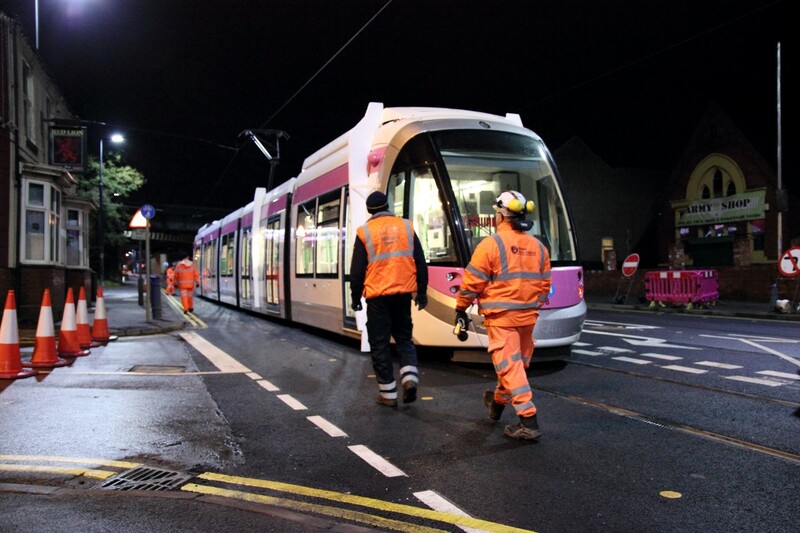 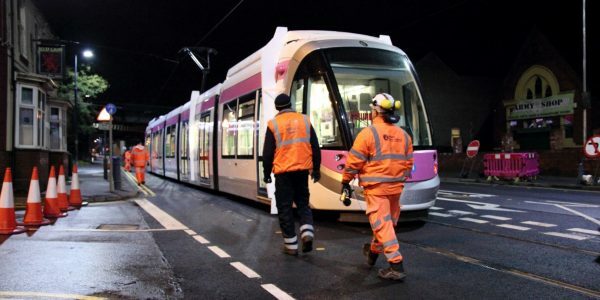 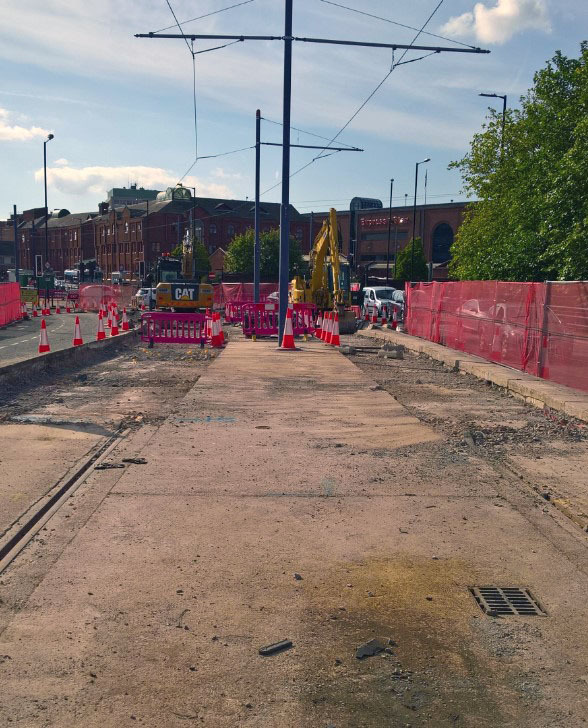 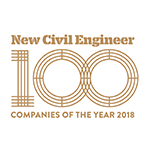 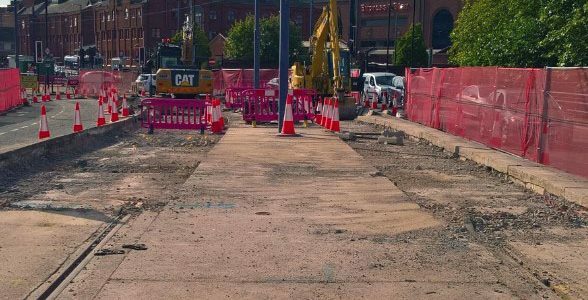 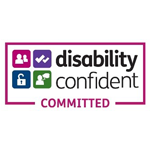 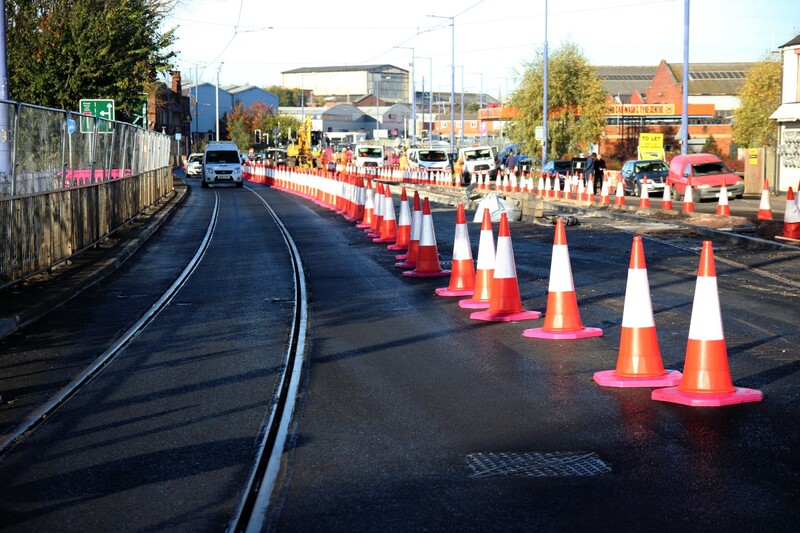 This project was the first major construction work completed by the Midland Metro Alliance and has resulted in a much-improved travel experience for passengers from Priestfield to Wolverhampton St. George’s as well as those using the road in other vehicles.